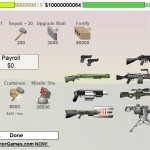 Defense Stick Shooting Upgrade Action Click to find more games like this. 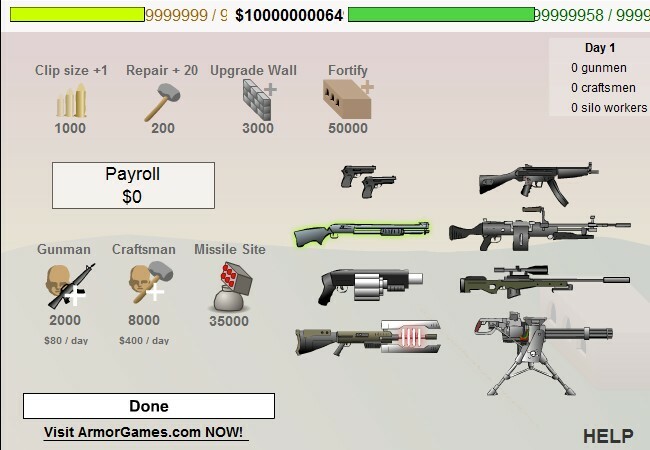 Cheat: Unlimited ammo, cash, health. 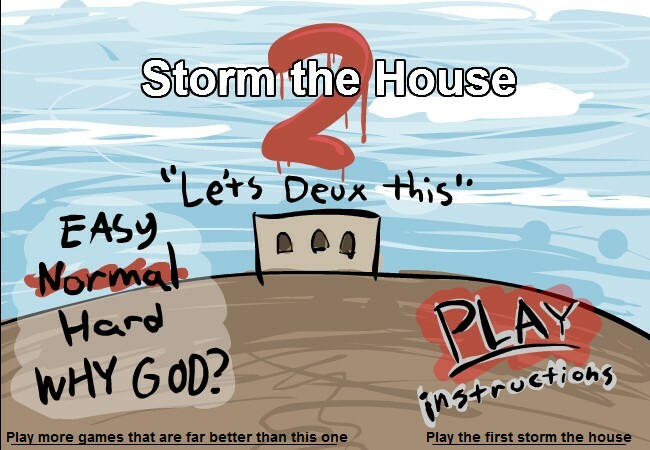 Your objective in this great shooting flash game is to protect and save your house from attacking hordes of enemy soldiers, armored cars, tanks etc. Use YOUR MOUSE to aim and click LEFT MOUSE BUTTON to shoot. 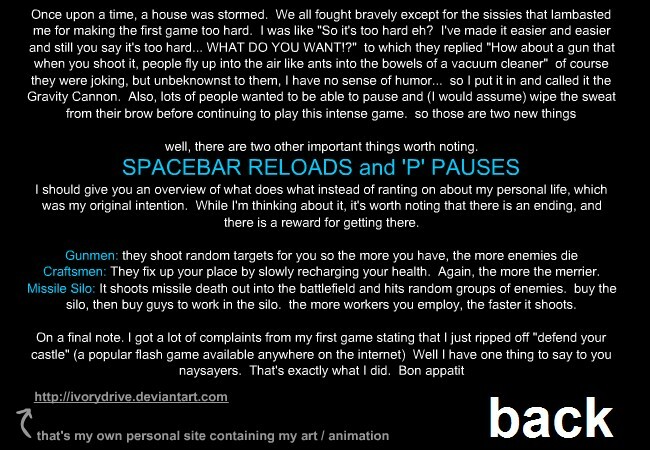 Press SPACEBAR to reload. 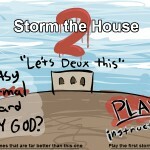 I'm sure all of you played the first part of Storm the House, so you will notice two improvements. You can now pause the game with "P" KEY and there is new weapon called Gravity Cannon which will make people fly up into the air like ants. There is cool reward for getting to the end. Be sure to hire Gunmen, who will shoot random targets for you. Craftsmen who will fix up your house slowly and Missile Silo which shoot missile death out into the battlefield. Good luck!